Ahh, summer in New England. 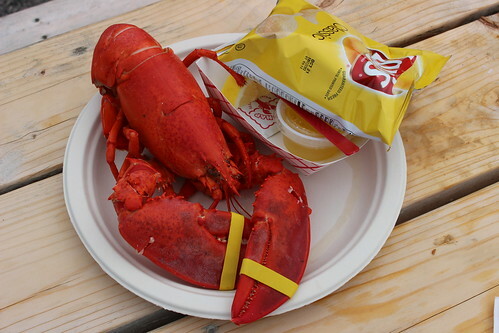 That only means one thing, lobster shacks!! 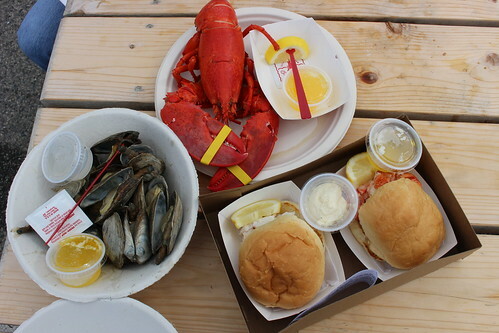 I visited quite a few lobster shacks in Maine (including Bite Into Maine) and Connecticut last summer, including The Clam Shack in Kennebunkport, ME, which won Tasting Table's Lobster Roll Rumble in New York one year. We got a whole steamed lobster (for only $12! 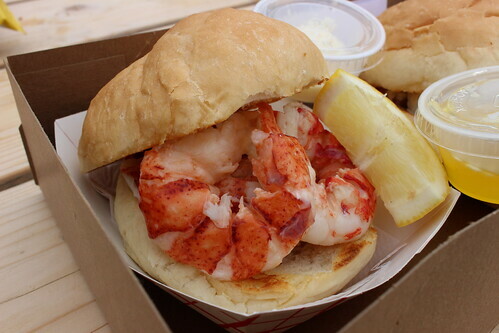 ), a lobster roll, a crab roll, and an order of steamers. The Clam Shack is quite popular so there's a line to place the order. Once you get your food, find a seat on one of the outdoor tables. The lobster roll here is actually not my favorite. The lobster meat was great - very succulent, but I found the hamburger-style bun to be too dense and dry, and there was too much bread compared to the lobster meat. Don't get me wrong, it was definitely a good lobster roll (sandwich?) but it wasn't my favorite. Instead, though, I really recommend the whole steamed lobster. Again, it's only $12! And the lobster was obviously freshly caught and was one of the best lobsters I ever devoured. And I devoured and cleaned out the shell. 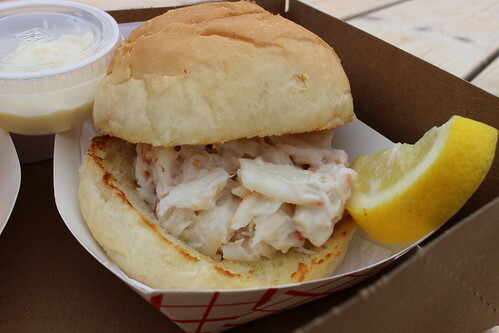 The crab meat for the crab roll was tossed in a light mayo dressing, and I liked it better than the lobster roll since the mayo helped with the dryness of the bun. Steamers. 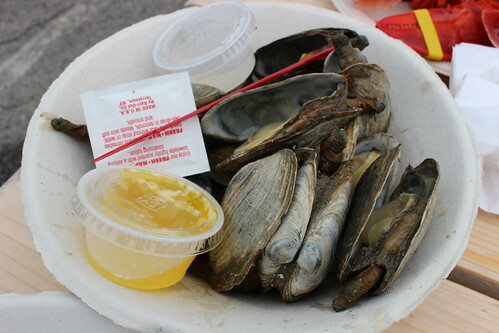 If you're not familiar, steamers refer to steamed soft shell clams. 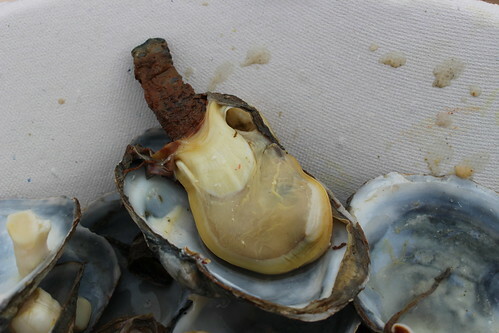 To eat it, you will need to remove the black casing around the tip, then dip it into warm or hot water to wash the clam, then dip it into warm butter. The clams here were plump and juicy, it was hard to stop popping them, soaking in butter, into my mouth. 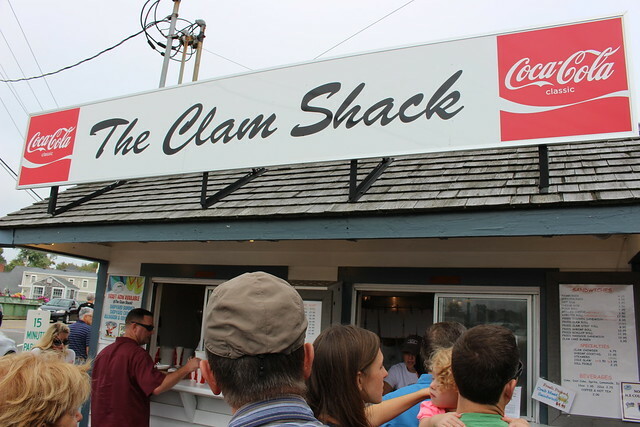 Even though my favorite lobster roll is still Bite Into Maine in Portland, ME, I would definitely be happy to return to The Clam Shack for some whole lobster and steamers!